De Nier 8NC10 Samenvatting Summary of the De Nier, based on the slides of the colleges. This course is (usually) given in the third year of the study of Medical Sciences and Technology, or for students with a basic course of Basic Tissue Engineering at TU / e.
Samenvatting Heart and Blood/Hart en Bloed 8WB00 Summary of the subject Heart and Blood 8WB00, given at TU/e for the Faculty of Biomedical Technology / Medical Sciences and Technology. Alle hoorcolleges PAC Lectures about Physiology, specifically sepsis and heart failure. 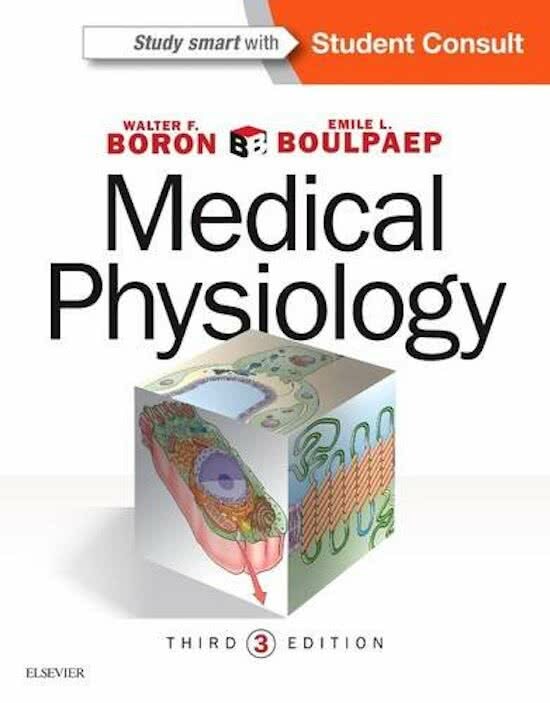 On this page you find summaries, notes, study guides and many more for the study book Medical Physiology, written by Walter F. Boron & Emile L. Boulpaep. The summaries are written by students themselves, which gives you the best possible insight into what is important to study about this book. Subjects like TU/e, physiology basic concepts kidney, LUMC, 8WB00, BMT, Basic Tissue Engineering, De Nier & Hart en bloed will be dealt with.